Link below to an interesting short BBC Radio programme about the small-leafed lime. Happy Birthday to Thomas Pakenham! Our Founder and Chairman, Thomas Pakenham, celebrates his 80th birthday on 14 August 2013. This recent photograph of Thomas was taken at the National Botanic Gardens against the background of a magnificent Cork oak, Quercus suber. Exposure to radiation from the 1986 Chernobyl accident had a lasting negative legacy on the area's trees, a study has suggested. Researchers said the worst effects were recorded in the "first few years" but surviving trees were left vulnerable to environmental stress, such as drought. They added that young trees appeared to be particularly affected. Writing in the journal Trees, the team said it was the first study to look at the impact at a landscape scale. "Our field results were consistent with previous findings that were based on much smaller sample sizes," explained co-author Tim Mousseau from the University of South Carolina, US. "They are also consistent with the many reports of genetic impacts to these trees," he told BBC News. "Many of the trees show highly abnormal growth forms reflecting the effects of mutations and cell death resulting from radiation exposure." Prof Mousseau, who has been carrying out field studies since 1999 within the 30km (19-mile) exclusion zone around the site of the 1986 explosion, said it was the first time that a study of this scale - involving more than 100 Scots pines (Pinus sylvestris) at 12 sites - had been conducted. "There was one similar study conducted before but it only looked at a total of nine trees and was mainly interested in wood structure, not growth," he said. "Another study was performed in the 1950s but it was for a different tree in the US and it used a single external gamma source suspended above the ground to show growth effects for a very limited number of trees." For this study, the team took core samples from Scots pine trees for a number of reasons, such as the species is found across Europe and well dispersed within the Chernobyl region. "They are also a favourite for silviculture and have enormous economic value," Prof Mousseau added. "Also, based on past work and our own observations, they appeared to be a good target for radioecology as they showed signs of being impacted by the fallout. "In fact, one of the first ecological observations at Chernobyl was the death of the so-called red forest: a stand of these pines which very quickly died and turned red following the disaster." 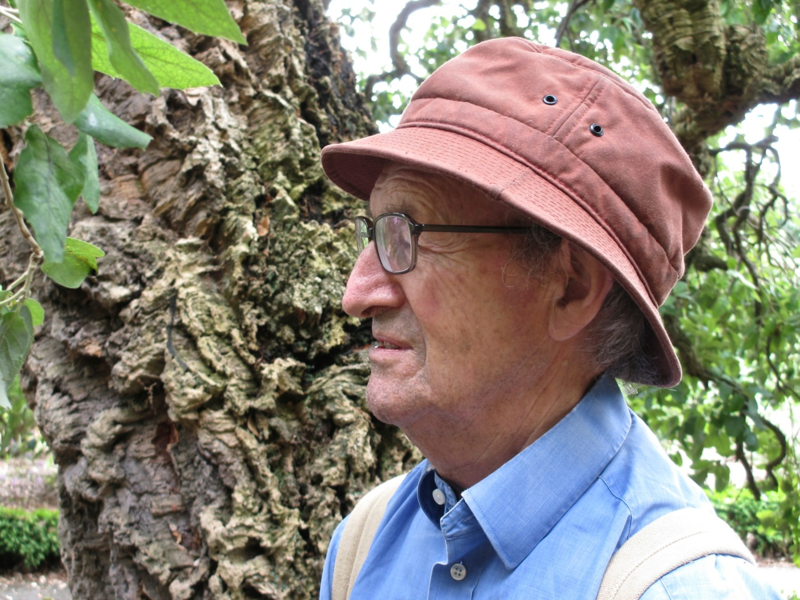 Scots pines' tree rings were also easier to read than other species, such as birch, found in the study area, he explained. Prof Mousseau and his team hope to follow up this study by carrying out similar work in the Fukushima region in Japan, where logging also had considerable economic importance and pine trees were widely dispersed. "Based on our limited field observations in the most contaminated regions of Fukushima prefecture, there did not appear to be a major die off as seen in Chernobyl for Scots pines," he said. "However, anecdotally, we have noticed significant die off of growing tips and branches in some areas that suggests that there could be impacts on growth. "This is worth further investigation." 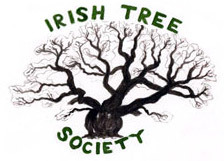 Having discovered this tree, which is the same shape and size as a traditional Irish harp, I thought your members might like to know about it. The Tree Council already have three of our trees on their database and I have sent them a picture of this one. It is very special having formed totally naturally. It grows in a particularly beautiful beech wood here and I'd be happy to show it to your members should they wish to see it. I've attached two photos, one with me to show the size and scale of it. 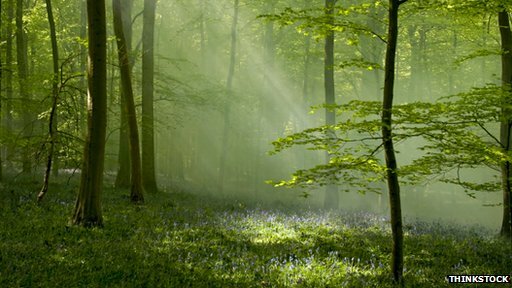 The sizzling summer of 1976 caused permanent changes to British forests, new research suggests. Scientists found that the long dry spell that year - the UK's most intense drought between 1914 and 2006 - killed off many drought-sensitive beech trees. Growth of the trees is still restricted more than 30 years later, a study in the journal Functional Ecology said. The more drought-tolerant Sessile Oak survived better and is now dominating the beech. The scientific work was carried out at Lady Wood Park in the Wye Valley. This 45 hectare (111 acre) site is a national nature reserve and is attractive to researchers because it has been deliberately unmanaged since 1945. Detailed forest surveys have been carried out in the park over the past 70 years and the ecologists were able to use these along with tree ring data to discover how the different tree species fared over the period. Before 1976, beech was the dominant species in this area. But that summer's drought has permanently changed the makeup of the forest. That dry spell was the most exceptional drought in the years between 1914 and 2006 - it was 30% more intense than the next driest year, 1921. The researchers found that in the period immediately after 1976, there was a significant growth in beech mortality. Between 1977 and 1992, 17% of these trees died, while there were no deaths among the oaks. 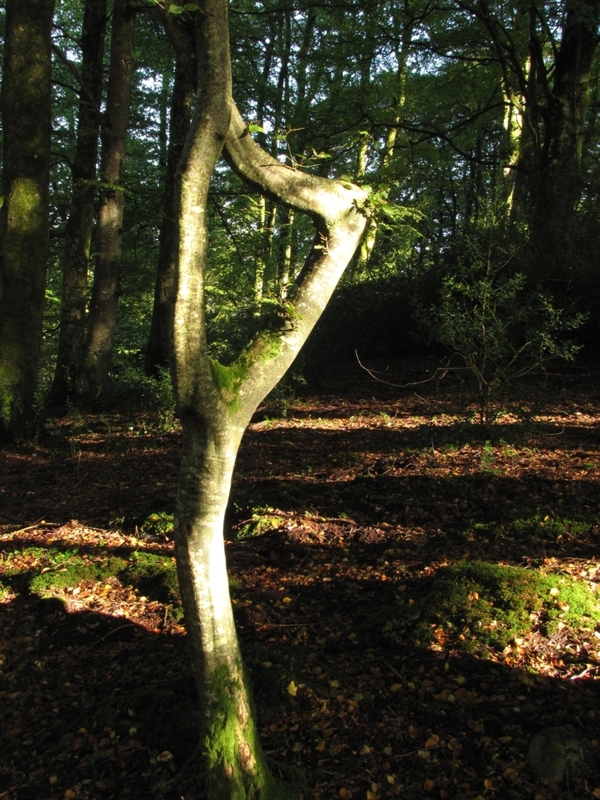 "The beech growth dropped very suddenly," said Prof Alistair Jump from the University of Stirling who carried out the work along with researchers from Joint Nature Conservation Committee. "The Sessile Oak which is slightly less competitive but is more drought tolerant took advantage and grew much better - and beech has never fully recovered in the system." The researchers say the oaks increased their growth rate by approximately 20% in the years immediately after 1976. 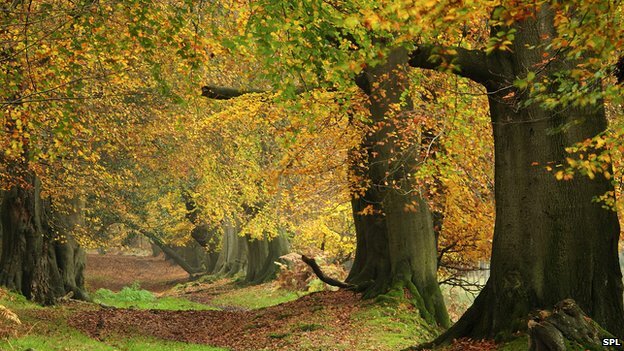 The beech trees eventually stabilised their growth rate but only at around 75% of pre-drought levels. The scientists say that beech trees can appear to tolerate drought without a long term impact until a threshold is reached. "I think tipping point is a key idea, and that's something that we see very clearly in the work," said Prof Jump. "They are resistant up to a point and then we hit a tipping point and the system shows very severe impacts. The problem is we don't know where these tipping points are for other species." The researchers say they expect the changes that they recorded at Lady Park Wood to have been replicated across the UK. This perspective is echoed by Ray Townsend, arboretum manager at the Royal Botanic Gardens, at Kew. He lived through the drought of 1976 and owns a home in the New Forest and he has been spending a good deal of time among the beech trees there in recent months. "Quite clearly you can see that the beech aren't happy," he told BBC News. 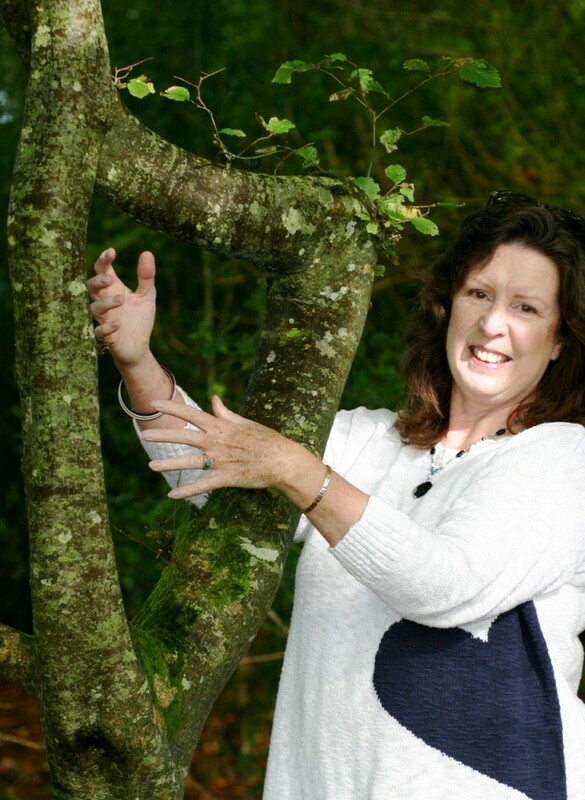 "You can see evidence of the restriction of growth - I've seen that, the beech don't look as they should look - The oaks seem to be growing well, I'd never really thought about the reasons, but reading the research paper, it makes sense in a way." The study's authors believe that extreme events such as the drought of 1976 are likely to increase in frequency in the future and there could be similar implications for other tree species. To cope with these events, they say that forest managers need to manipulate the mix of species in their woods. But despite the extreme heat of the last few weeks, the scientists say that 2013 will not have the same impact on trees as the dry days of '76. That year was exceptional as it followed on from a rain-free 1975. "This summer it won't happen," said Prof Jump. "Last year we were at the point where we were forecast to exceed the 1976 drought and then we had this phenomenal amount of rain - that replenished the water supplies and that means for this year it would be highly unlikely." The government is stepping up monitoring of a disease thought to pose a serious threat to UK oak trees. Acute Oak Decline, which causes weeping patches on the stems of mature trees, is on the rise in England, particularly in the Midlands and the South East. A national survey has been commissioned as part of a new £1.1m research drive. Thousands of trees are thought to be affected, the Forestry Commission's lead scientist on the condition told Radio 4's Farming Today. "This is a serious problem in the UK," said Dr Sandra Denman. "So far we've only seen it in England, but because we haven't done any formal surveys we're unsure as to the full extent of the problem. But we do estimate that there are many thousands of trees that are affected." Scientists believe a beetle may be responsible for the disease. They are also trying to isolate and identify a bacteria found on the dying trees that might be linked to the infection. Little is known about the rate of spread of the disease and whether all oak trees are at risk. "We know that it does affect both of our mature species - so that's the sessile oak and the pedunculate oak," said Dr Denman. "But because our native oaks are native they have a very broad genetic base and so we're hoping that there will be some trees that will have a natural resistance to this condition." Symptoms of Acute Oak Decline include "stem bleeding" in which dark fluid seeps from splits in the bark and runs down the tree trunk. The public is being urged to report any suspected cases using a Tree Alert app available from the Forestry Commission. A spokesperson for the Department of Environment, Food and Rural Affairs (Defra) said: "Acute Oak Decline is a condition affecting several thousand oak trees, mostly across East Anglia, the Midlands and South East England. "It can lead to tree death, within four or five years in many cases. Defra has provided £1.1 million funding for a research project to increase understanding the disease and how it might best be tackled." The oak is found in most woods in the UK, and is the dominant tree in many areas of the country, particularly in the west of England. It supports a wealth of wildlife, including insects, fungi and lichens. Woodland ecologist, Dr Keith Kirby, of the University of Oxford, said: "Acute Oak Decline is a concern because it can lead to the death of even these large old trees that have survived lots of other impacts, and it appears to be spreading. "Although Acute Oak Decline may be spreading less slowly than some other pests and diseases, even slow spread is serious when we think in terms of the lifespan of a tree." Better monitoring of Acute Oak Decline is part of a strategy to protect tree health, in the wake of the discovery in the UK last year of Chalara fraxinea, which causes ash dieback. Experts are putting together a list of the main tree pests and diseases which threaten Britain. Pests that are being studied include chestnut blight, plane wilt and bronze birch borer. Meanwhile, the Woodland Trust is calling for more public education on signs of disease and pests in woods. A recent survey found eight out of 10 people are unable to identify an ash leaf when shown an image of one. There are currently 15 tree diseases listed by the Forestry Commission as being present in the country, with another five suggested as not yet present but as having the potential to arrive. Article from the Teagasc Website on Ash Dieback Disease.